Residents will now get the opportunity to roll up their sleeves and help, as Carter is seeking applicants for over 30 city committees, boards, and commissions that help shape policy and programs. Current and future openings include the Capital Improvement Budget Committee, Parks and Recreation Commission, RiverCentre Convention and Visitors Authority and Civil Service Commission among others. Applications must be submitted by April 22. Carter, in his January inauguration speech, asked every city resident to get involved in public service. 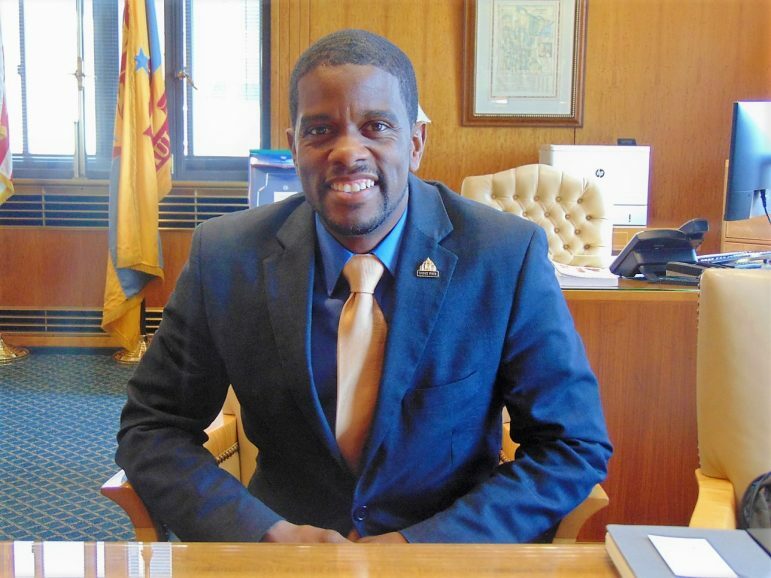 “Public service through sweat equity,” he reiterated during our half-hour interview last week in his office at City Hall. “On top of these values, we have our three core pillars”: community-first public safety, lifelong learning, and economic justice. Public safety “through a criminal justice reform lens. Our public safety strategy is totally different. It starts with community children and families connecting with police. It starts with making sure St. Paul is a welcoming place” for formerly incarcerated persons returning to the community. Lifelong learning — “The way we support our schools, teachers and [students] for success,” including after-school and out-of-school learning programs, career preparation, and workforce readiness programs. Carter will deliver his first State of the City address April 14 at Johnson High School. The event will be part of a half-day State of Our City Summit open to the public of all ages from 9 am to noon. “I haven’t written my speech yet,” he admitted, but he predicted that his administration’s core values and pillars will be discussed, as the summit will be divided into three segments. “The goal of our whole administration is two-way engagement,” Carter continued. “We are inviting people to do this with us. In order to get them to do this with us, we need them to help us design it. “There won’t be a one-way dialogue to declare to the City what we are going to do, but a two-way dialogue. This is our city,” the first-year mayor promised. “Change can either be our biggest threat or our greatest opportunity. “If we are really going to be innovated, resilient and drive equity, that means people across the city [will have to be involved],” Carter concluded. Charles Hallman welcomes readers’ responses to challman@spokesman-recorder.com. Next: Carter talks about the significance of being St. Paul’s first Black mayor.